SKU: 01- DBHS. 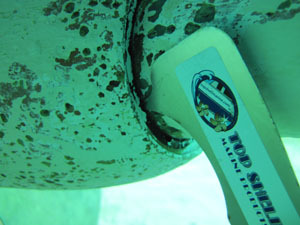 Category: Scrapers, Hull & Bottom Cleaning. The blade of the “Dirty Bird” has rounded corners so it won’t gouge Fiberglass, Bronze or Nibral. 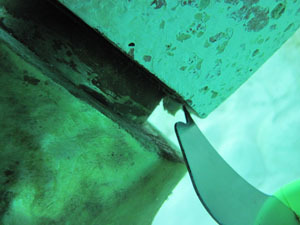 The pick or “beak” is used for cleaning the leading and trailing edges of Cutlass Bearings, Screens and Raw Water Intakes. The elliptical notch allows optimized scrapping of different sized prop shafts. The “Dirty Bird” Scraper bridges the gap between our Ultimate Scraper and our New Wave series of scrapers. The Dirty Bird is constructed from the same high quality materials as our Ultimate Scrapers and New Wave scrapers; Made in America hardened stainless steel and injection molded ABS plastic. ABS is the same material used for Football helmets, so you know it’s tough and it is UV stabilized for long life outdoors. 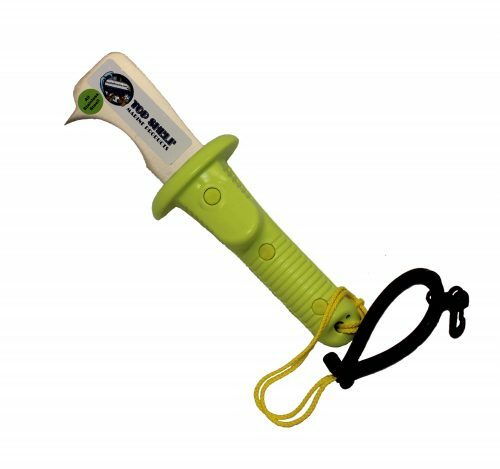 Our patent pending grip protects the hand from sliding onto the blade and the “web wedge” cuts down on hand fatigue by distributing the load onto the web of the hand in the heaviest of scrapping jobs. 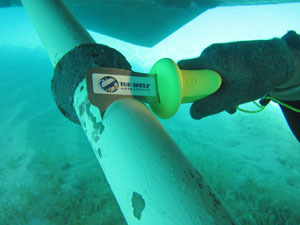 At 11″ overall, the “Dirty Bird” Scraper is perfect for service on smaller Inboard & Outboard Vessels kept in the water. 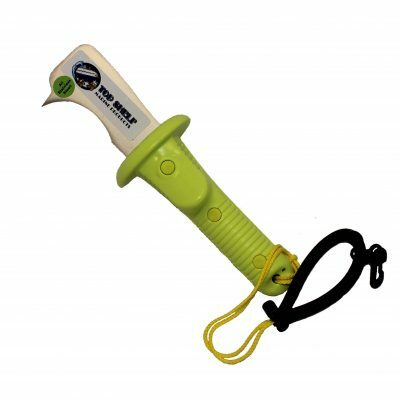 Commercial Divers that service many vessels with different sized prop shafts will also find this a good addition to their tool set. 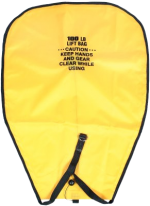 The grip is a high visibility Safety Yellow and comes with a removable lanyard to prevent loss. Don’t buy another 5 n 1 tool until you try the “Dirty Bird”.